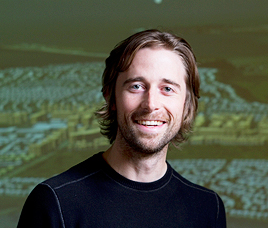 David Flanders is a landscape architect and planner currently working as a research affiliate with the Collaborative for Advanced Landscape Planning at the University of British Columbia. He is also a land use and environmental planning consultant with experience designing resilient landscapes, envisioning community futures, and assessing trade-offs between community development options. Broad stakeholder engagement, holistic planning processes, participatory scenario-building, and use of graphic 2D, 3D and 4D visualization are integral to this work.